I took my first hike on the Pacific Crest Trail two years ago. This year, I did it again. The first time, Cheryl Strayed was my guide (Wild) and I thought her account was just okay. I didn’t understand why she waited 17 years to write the story (which gave my journalism-trained brain some pause) and I thought the end went flat. 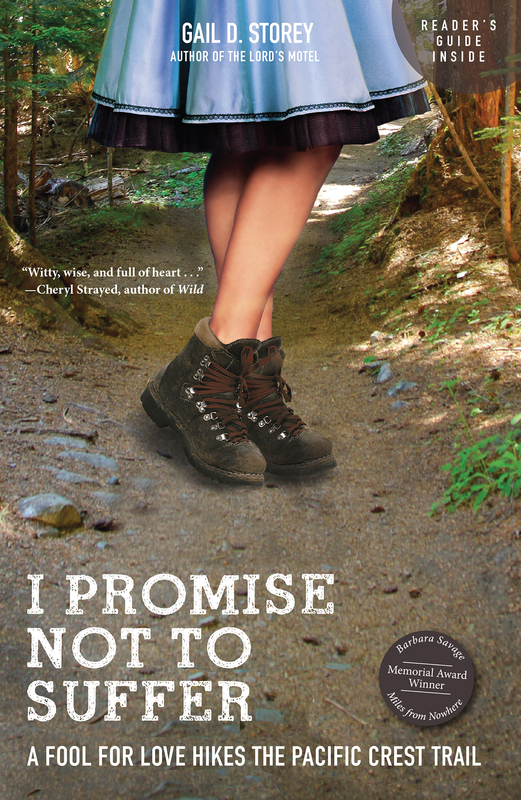 This year, I was at the fabulous Colorado Book Awards event in Aspen when Gail Storey picked up her win for I Promise Not to Suffer and I figured my blisters had healed. I could handle another hike. And I’m glad I did. I liked this account better and, well, the end packs the kind of gut-tugging punch I had hoped for in Wild. There’s no accounting for what sells out there in book land, both fiction and non. But if you’re going to take a virtual hike on the 2,663 miles of the Pacific Crest Trail, I recommend this journey over the other. A full review follows. Question: So, “what the hell is nature, anyway?” Looking back on the whole adventure, what’s your take? Gail Storey: The first line of I Promise Not to Suffer: A Fool for Love Hikes the Pacific Crest Trail is “I never much cared for nature, or rather, thought it okay as long as it stayed outside.” Our 2,663-mile adventure revealed that inside and outside are one, that in the wilderness of landscape, body, and heart we find our deepest selves. Porter’s experience as a man was different from mine as a woman, and our love affair blossomed in unpredictable ways. The last line of the book is: “I never much cared for nature, but nature cares for us.” And the best part is nature has a hell of a sense of humor! Question: That’s a bold title, I Promise Not to Suffer. But there were certainly some challenging moments and you certainly felt pain and injury. What did you mean by the title and at what point in the writing process did that title occur to you? Gail Storey: At Kennedy Meadows, a staging area for the High Sierra, Porter and I had a lot of back and forth about whether I could learn to self-arrest down a snowy mountain with my ice axe, and whether my injuries (a torn shoulder muscle and nighttime leg-twitching that made it hard to sleep) would make me miserable when there was no way off the trail for hundreds of miles. He said, “I hate to see you suffer,” offering me the chance to bail, and I replied: “I promise not to suffer.” For me that signified total surrender to the beauty of the Pacific Crest Trail, no matter what it cost me physically or emotionally. Question: Cheryl Strayed gave you a wonderful blurb that’s on the front cover of your book. What do you think is the main difference between your two accounts? Gail Storey: Our perspectives from the trail were radically different. Cheryl was twenty-six, I was fifty-six. She hiked solo, I hiked with my husband of seventeen years. She hiked with a heavy backpack, Porter and I hiked ultralight, with my base weight eleven pounds except for food and water, and Porter’s twelve pounds. Her mother died at the beginning, mine died at the end. Each of us, though, welcomed the trail’s power to utterly transform our understanding of ourselves and what it means to be truly alive. Question: With all the hike-related and camp-related and food-related things that needed doing each day, how hard was it to make time to take notes and keep track of what was happening? Gail Storey: Porter wrote in his journal each evening for an hour or so while he simmered dinner on our alcohol stove. His typical journal entry included our mileage for the day, characteristics of the landscape, and exactly what we ate, punctuated by his rapture. I wrote less often but in longer bursts that reflected my fits of temper as well as the pleasures of living outside in the high desert in the company of all kinds of plants and animals. I never met an emotion I didn’t like! Question: When were you sure you were going to write a book about the trek? Did you at all consider using the experience as the basis of a novel? 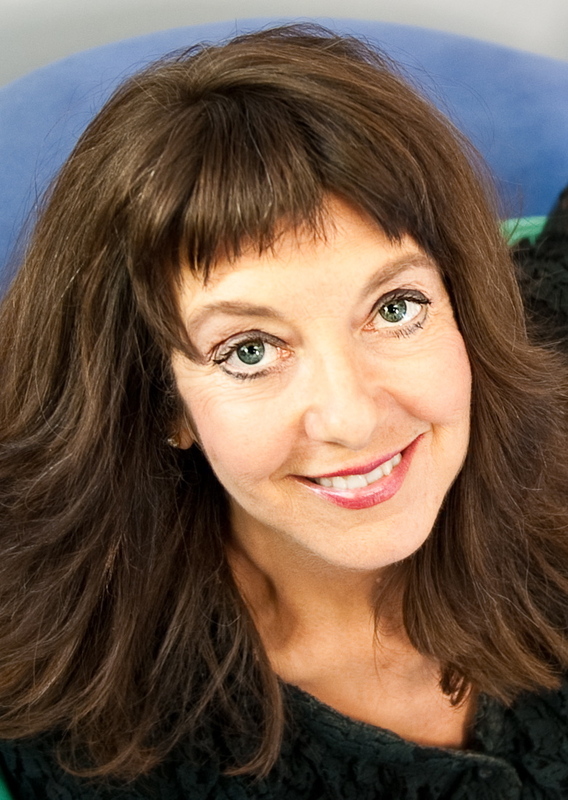 Gail Storey: I thought it would be hilarious to juxtapose our often conflicting accounts of exactly the same event on opposite pages of a manuscript. But journal pages do not a memoir make, and as the narrative evolved, deep emotional, psychological, and spiritual experiences resonated with the physical adventure in ways I couldn’t hold back. Although my first two books were novels, the experience of what actually happened on the Pacific Crest Trail felt too immediate to fictionalize, such as my encounter with a mountain lion, near-drowning in rapids, and the transformation these effected. Gail Storey: We plan to hike and mountain-bike the 3,100-mile Continental Divide Trail in a configuration to be determined. I may be Porter’s trail angel, hiking in to meet him and resupplying him at various trailheads. I’d like to combine that with a self-guided meditation retreat along the way. Whatever wants to happen, it will be an adventure! In the shadow of the enormously popular Wild by Cheryl Strayed, I Promise Not to Suffer may seem like an echo. Similarities? Sure. The same route (Pacific Crest Trail). The same general experience level with long hikes (almost none in both cases). Female perspectives. Eye-opening encounters with other trail rats and wildlife. And “issues” with people in each of the author’s lives, including family. But these are two very different books. I preferred this one for its fine combination of breezy humor and more down-to-earth reporting. These are both interior journeys as much as detailed travelogues of the hikes. Personally, I could go for more details about ascents, camp spots, food prep and all the gritty details of the actual hike in both tales. But Storey’s engaging, matter-of-fact style draws you up the trail easily and before you know it you are eager to hear how the next section of the journey will roll and, in fact, whether Gail and her husband will sync up and get along. Storey has won a slew of awards and I think they are well deserved—National Outdoor Book Award and Colorado Book Award among them. The account is set up as a personal quests for both Porter and Gail—and how their individual goals intertwine (or not). Porter is a specialist in hospice care and Gail’s mother is dying; the issues are rich. This is not a hike for the hike’s sake, but to wonder about identity and places in the world and universe. For me, a little bit of that goes a long way. Storey never gets too bogged down and her self-effacing style is engaging. She has done her share of soul searching—including three months in total silence in a Buddhist monastery—so she’s got experience in the art of contemplation. I took every step with Storey in part because of her frankness and a genuine, grounded feeling that the scenes and conversations were unfiltered and raw. There are more than a few unabashed moments along the way. As the pages wind down, you can see there are too many miles left to go to complete the journey (at least for Gail) but Storey’s decisions and her family obligations make for a thoughtful conclusion that left a lump in my throat. You might have to abandon the trip, in fact, but you’re always on the trail of understanding. This entry was posted in Books and tagged hiking, journey, memoir, non-fiction, pacific crest trail. Bookmark the permalink. Thank you for this great interview and review, Mark. It means so much, coming from a writer of your caliber and insight!